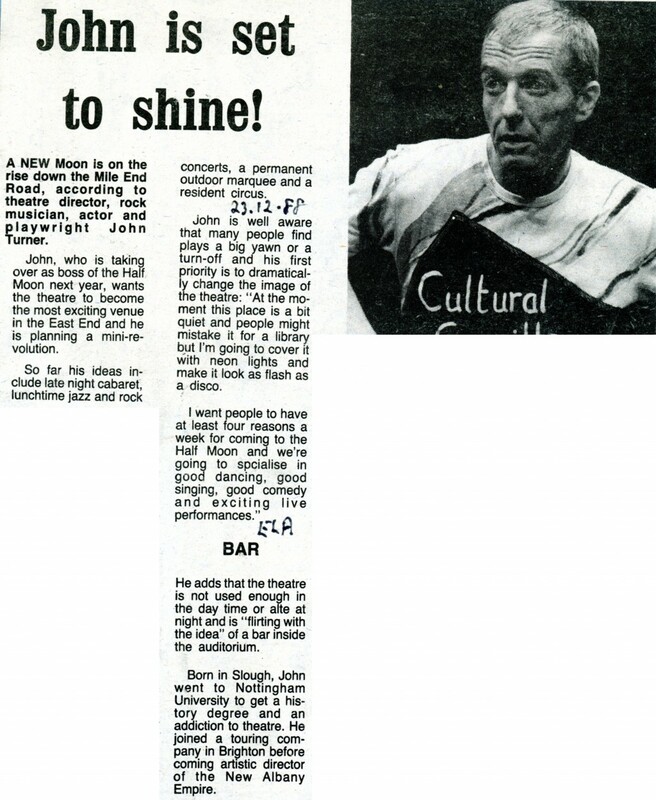 John became Artistic Director of Half Moon Theatre in 1989 and during his brief tenure he oversaw a co-production of Blood Wedding with Asian Co-operative Theatre, he commissioned and performed in the Christmas show, Circus Moon and brought Alec McGowan’s Solo Performance of St Mark’s Gospel to the theatre. 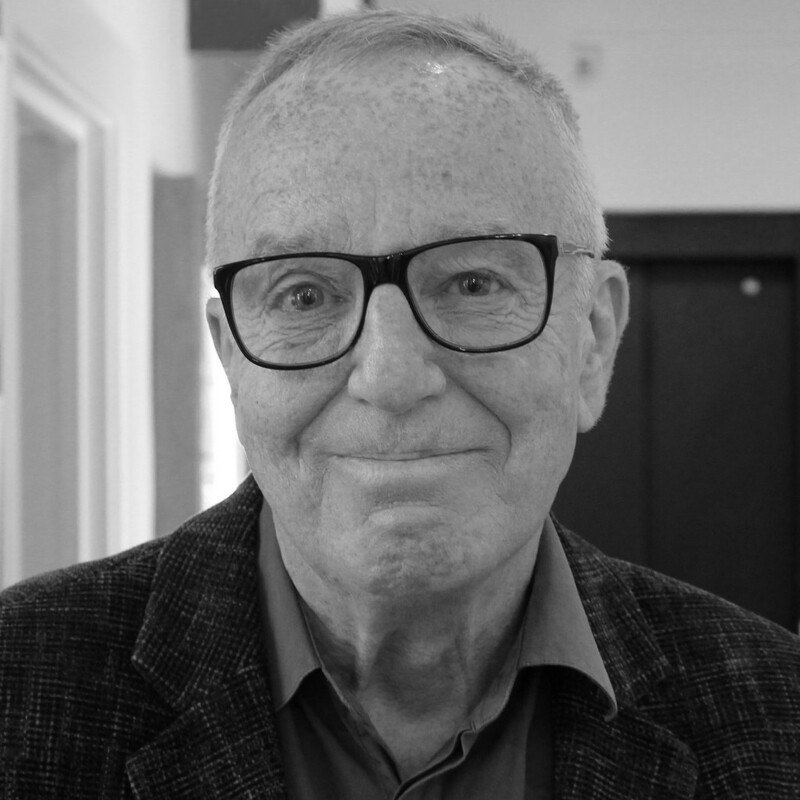 John is a prolific writer and director with a long association with the wider local community around Deptford and in particular at The Albany Empire, which he helped set up and became the company’s Artistic Director. His work included All Who Sail In Her, Beggars Can’t Be Choosers, Heroes, Labelled With Love, Race with the Devil Blood Sugar and Deptford Stories. 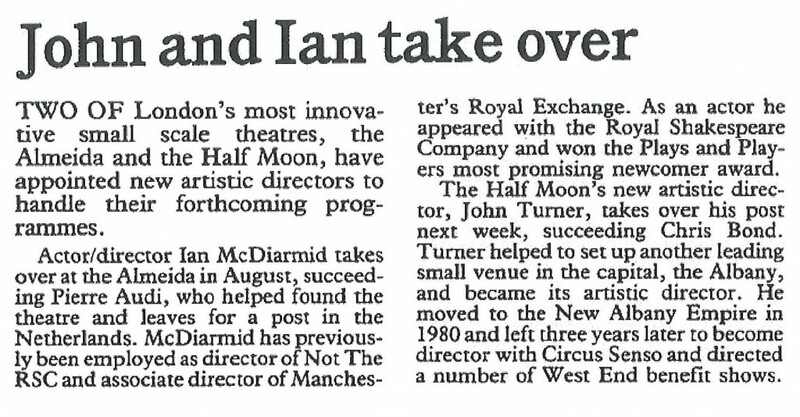 John Turner was Artistic Director of Half Moon Theatre on Mile End Road from 1989 to 1990. He talks about the shows during his tenure and the reasons behind the regrettable demise of the company. Interviewed by Rosie Vincent. John Turner talks about Alec McCowen’s Solo Performance of St Mark’s Gospel and recalls the incredible performance given by this consummate actor. John Turner talks about Blood Wedding, a co-production with Asian Cooperative Theatre which he wanted to programme for the local Bangladeshi community. 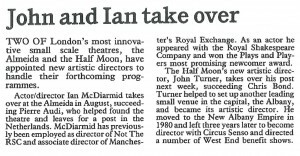 John Turner talks about Circus Moon, a human circus Christmas show set to a jazz funk score. He describes his passion for circus, which has a true appeal to the whole community. 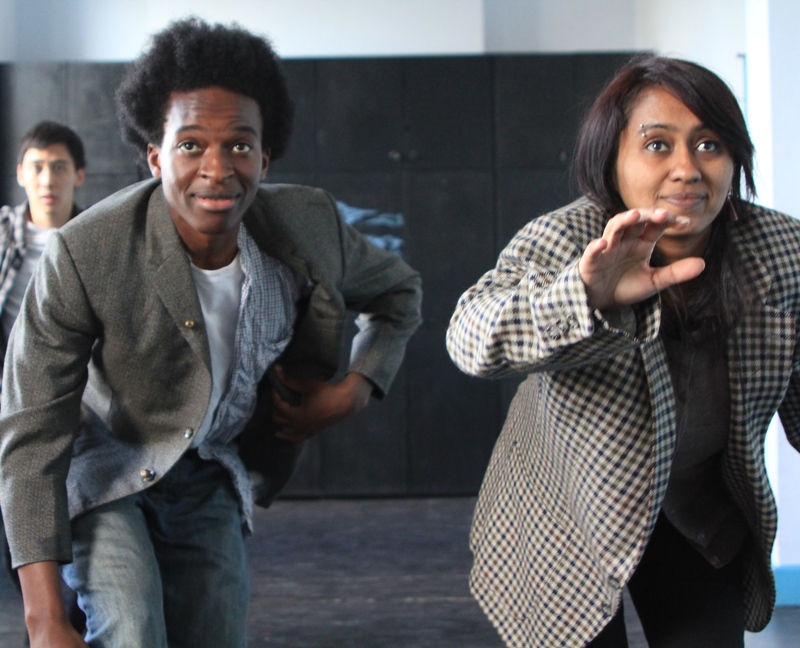 John Turner talks about Regeneration, a play about the redevelopment of London’s Docklands. He describes how it portrayed the story of the local dockers and the contemporary challenges for the local community of the regeneration of the Docklands. 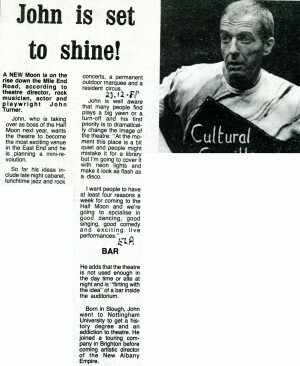 John Turner talks about the last ever performance at Mile End Road, After The Storm, by the Young People’s Theatre. John Turner was Artistic Director of Half Moon Theatre on Mile End Road from 1989 to 1990. He talks about the financial problems experienced by Half Moon Theatre in the late 1980s. Interviewed by Rosie Vincent.